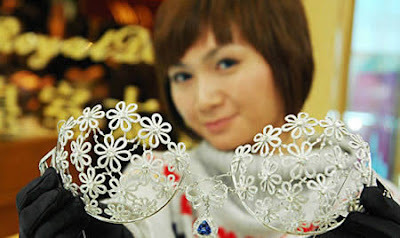 The Chopstick Bra, created by lingerie-maker Triumph International Japan to promote the use of reusable chopsticks. 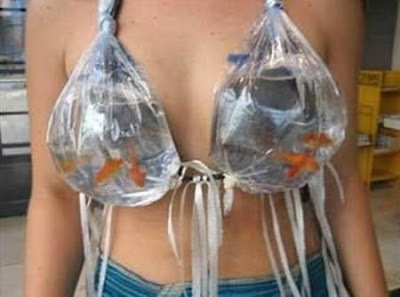 That's right, you can enhance your cleavage and save the planet at the same time. The Solar-powered Bra generates enough electricity to power an iPod or keep a mobile phone charged. Feeling hungry? 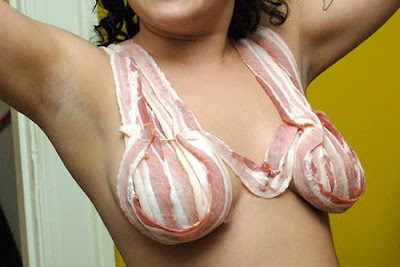 Meet the Bacon Bra .. The Golden Bra, worth "just" US$1.9 Million ..
Spanky! This Madonna-style cone bra is hand made out of silicone.